Provincial shipping, add shipping of Php 200. Payment thru Paypal or BDO Bank Deposit. I will contact bid winner. Thank you. 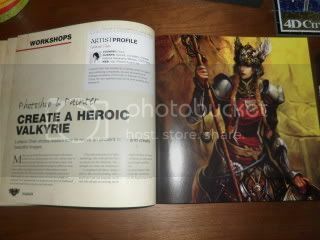 As computer-based drawing and painting programs become more sophisticated, the audience for fantasy art keeps growing along with it. 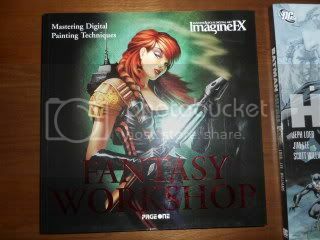 Produced in association with the renowned magazine ImagineFX, this visually striking guide helps readers learn how to produce top-quality digital fantasy images in styles ranging from manga to gothic. Focusing on a small number of popular creative painting programs, this workshop includes plenty of step-by-step screen grabs and simple, detailed instructions. Would-be fantasy artists will be able to progress from basic “pencil” roughs to line art and, ultimately, to finished color pieces. 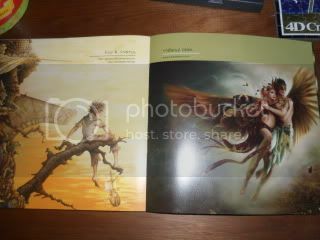 A gallery of FXpose images includes work by fantasy masters such as Alan Lee, Todd Lockwood, Jim Burns, Linda Begkvist, and others.